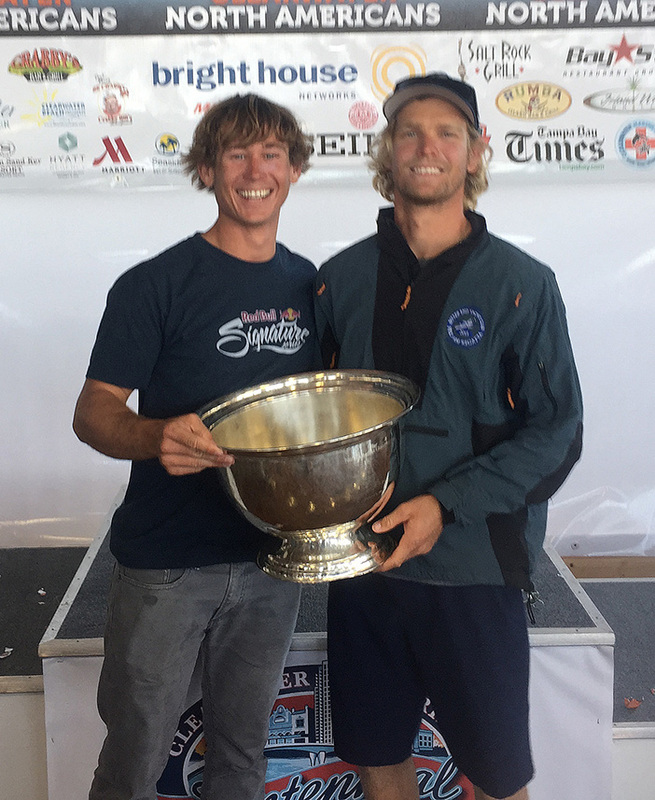 “Obviously, a little sour and bummed that we won’t be going to Rio, which was the No.1 goal and we weren’t able to achieve it,” said a disappointed Alec Anderson who forms the duo with Chris Brockbank as 49er sailors. They were trying to get BVI sailing back in the Olympic Games this summer in Rio for first time since Robbie Hirst in Atlanta, 1996. Their dream ended on Friday afternoon during the Miami Olympic Classes Regatta. They made Gold Fleet for the first time and had a ninth place finish in Friday’s first race, beating the Americans then had a bad third race that sealed their fate, despite finishing sixth in the final race. They ended up fourth behind three American teams but the second country ahead of the Canadians. Anderson said except for some equipment failure on Friday, they had some really good moments sailing against the top 49er sailors in the world and actually competing under pressure. He said he’s very happy with how things closed out being on the heels of the Americans. Coach Chris Watters said they have made great strides that teams haven’t made over 4-5 years and they faced two and three time Olympians.